Hello Fantasy friends and foes! Welcome back to the next edition of the Fantasy Six Pack’s Weekly Drop List. Now that the NBA and NHL Finals are both behind us, the sports world can focus solely on baseball. As we try to separate the contenders from the pretenders, MLB teams can start planning if they will be buyers or sellers. With the All-Star Break and the Trade Deadline just about a month away, we will see a lot of player movement as we prepare for the second half of the season. Upon further review, I came up with five players that fantasy teams can move off their rosters. Among them, the player that has probably the worst contract in MLB history, an outfielder who hit 30 homers last season, and a reliever who will be dealt by the Trade Deadline. Who are these players? Any guesses? Well, let’s not waste any more time, I present to you with the 2018 Fantasy Baseball Week 11 Drop List. Looking for who to pick up after dropping these players, take a look here, 2018 Fantasy Baseball Week 11 Waiver Wire: The Boys of Summer. 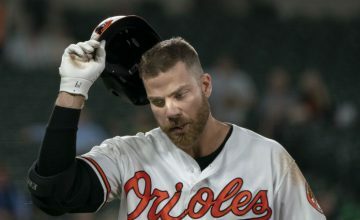 The Baltimore Orioles may have signed one of the worst contracts in MLB history when they gave Chris Davis that seven-year, $161 million contract in 2016. He was handed a deal that sees him earning $23 million a year until he’s 36! This contract is crippling this franchise. Davis is batting .150/.227/.227, with his most recent home run coming May 9. Since then, he’s 10-for-88 (.114) with 43 strikeouts in 95 plate appearances. His -2.0 WAR is the worst of any big league player this season. 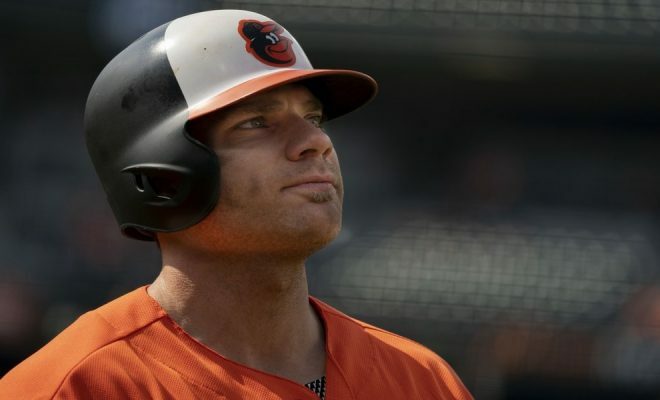 Please do what the Orioles wish they could do, cut Chris Davis immediately! 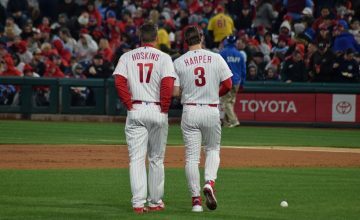 Phillies manager Gabe Kapler said last week that he is going to rotate Maikel Franco, J.P. Crawford, one of their top prospects and Scott Kingery, who they signed to a six-year contract before the season, at third base for the foreseeable future. The Phillies’ third basemen have a .689 OPS this season, which ranks 26th in baseball. Their .703 OPS from 2016-2018 is 28th in baseball. The Phillies need an upgrade at third base if they want to remain postseason contenders. Franco, 25, is hitting .247 with eight home runs, 32 RBIs and a .704 OPS in 205 plate appearances, but he has hit just .197 with a .500 OPS and just two extra-base hits since May 16. He let the third base job slip through his fingers. Fantasy owners need to see that there is no reason to hold on to Maikel Franco. Domingo Santana is part of a logjam in the first baseman/outfield positions for the Milwaukee Brewers. In the off-season, the Brewers acquired outfielders Christian Yelich and Lorenzo Cain, both of which will start the abundance of the time. When Eric Thames went down with a thumb injury, Jesus Aguilar really stepped up. Aguilar is slashing .285/.355/.535, hit 11 homers with 37 RBI and a .890 OPS. In addition, the Brewers still have Ryan Braun, who has been inconsistent at best but still contributing a .249/.307/.462 slash line with eight homers, 31 RBI and six stolen bases. So for Domingo Santana, where do you fit in? He is coming off a breakout 2017 season that saw him smack 30 homers with a .278 average, but now he is stuck on the bench. His batting average is down 24 points from last season, and his power disappeared. He has only three homers on the season. The Brewers have a loaded lineup and there is nowhere for Domingo Santana to play. Fantasy owners who drafted Santana based on last season’s breakout have to be disappointed. They also have to let Santana go as he will not help your fantasy team this season. With both Darren O’Day and Zach Britton activated off the disabled list, Brach’s days of being fantasy relevant are likely numbered. Brach has been functional as the Orioles’ closer in absence of Zach Britton. He has converted 10 of 12 save opportunities, but his underlying numbers tell a different story. He has a 3.96 ERA and 1.72 WHIP to go along with giving up a career-worst .269 batting average against. Additionally, Brach has career worsts as an Oriole in xFIP (4.36), BABIP (.355), BB/9 (5.40), and Hard Hit Rate (35.1%). I hope you were able to sell high on Brach after his hot stretch in May when he went 7-for-7 in save chances while lowering his ERA from 6.55 to 3.13. Otherwise, his current value is not worth owning on your roster. Zach Britton will be eased back into the closer’s role and will be showcased and sold to the highest bidder. In addition, the Orioles will be a seller at the deadline and will sell off all valuable commodities including Manny Machado, Adam Jones, Darren O’Day and Brad Brach. Pending free agent Brach will go to a contender and fill the set-up role, therefore, negating any fantasy value he gained throughout this season. There was a lot of fantasy buzz surrounding southpaw Luiz Gohara after he teased his potential in five starts in September. He averaged just under 97 mph on his fastball and produced 31 strikeouts in 29.1 innings. Gohara had figured to be a prominent part of Atlanta’s rotation before the season began. 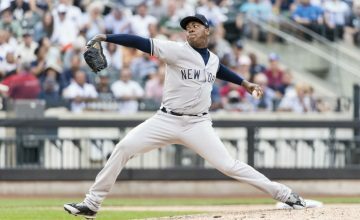 However, he did not pitch in spring training due to groin and ankle injuries and wasn’t activated until April 28, when he was optioned to Triple-A. Unfortunately, he was not impressive while pitching in the minors. He pitched 15.2 innings, allowing 18 runs (12 earned) in four starts. Regardless, the Braves promoted Gohara with the hope that he could provide length. Gohara was placed on the bereavement list May 25, a day after making his first start of the season. In that start against the Phillies, he allowed two earned runs, four hits, and four walks with six strikeouts across four innings. The Braves activated the young lefty on June 3. In his first action after the stint on the bereavement list, Gohara got rocked to the tune of giving up six hits and six earned runs in .2 of an inning. The Braves need to get a handle on how they want to proceed with this promising lefty. There is just no place for him in the current Braves’ rotation, especially with the return of fellow youngster Mike Soroka off the disabled list. While he may provide contributions from the bullpen, he has lost all of his fantasy value and appeal in seasonal leagues. In dynasty leagues, Luiz Gohara is someone that owners should have already known and owned.